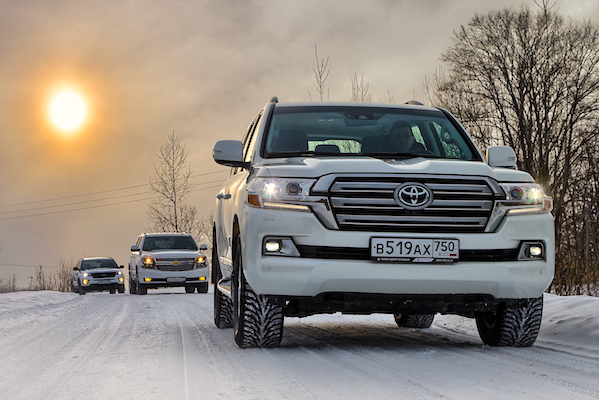 The Toyota Land Cruiser is the best-selling vehicle in Georgia for 2017. It’s always a very happy event on BSCB when a new country opens up with official sales data. It is the case today for the central Asian nation of Georgia. Georgian new car sales edge down 0.7% year-on-year in 2017 to 3.470 registrations. One carmaker dominates this market head and shoulders: Toyota, soaring 17% this year to improve its share by six percentage points to a mammoth 39.8%. Hyundai (+0.4%) overtakes Ford (-23%) to claim 2nd place overall while Mercedes (-6%) remains in a splendid 4th position. The most impressive evolution for the year is without a doubt delivered by Skoda, up almost 5-fold on its 2016 score and 13 spots to land at #5. Mitsubishi (+24%) and Suzuki (+12%) also break into the Top 10 while further down, Jaguar (+100%), Peugeot (+86%), Land Rover (+50%), Porsche (+39%) and Mazda (+25%) impress but Opel (-65%), Honda (-58%), Kia (-58%), Mini (-54%), Foton (-47%), Volkswagen (-46%), Audi (-39%) and Chevrolet (-36%) disappoint. 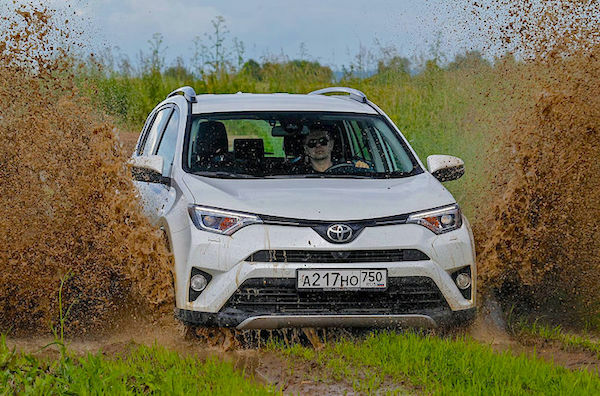 The Toyota RAV4 is up 6% to 2nd place overall. As expected, the top of the Georgian models ranking is a Toyota affair, with the Japanese manufacturer monopolising the Top 5 like it did in 2016. The order is different from last year though: thanks to deliveries up 24%, the Toyota Land Cruiser 200 replaces its slightly smaller sibling the Toyota Prado, leader in 2016 but down 41% to #5 this year. The Toyota RAV4 (+6%) and Corolla (+15%) both advance one spot to #2 and #3 respectively while the Toyota C-HR makes a thunderous arrival at #4 overall for its first full year in market, simply its best 2017 ranking anywhere in the world equalling its score at home in Japan. 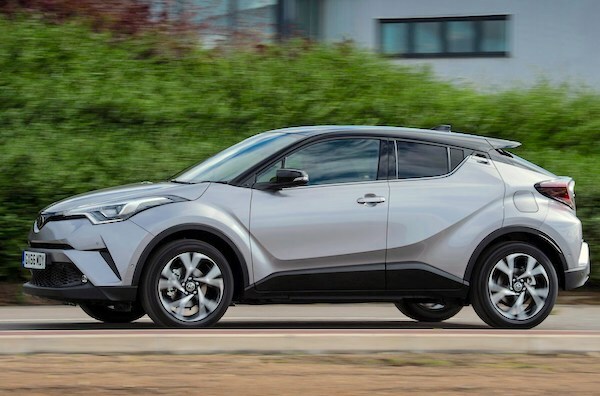 The Toyota C-HR ends 2017 at a world-best 4th place in Georgia. In 2017 the Skoda Octavia, up 14-fold and 68 spots year-on-year, is the best-selling non-Toyota nameplate in Georgia and one of only two in the Top 10 along with the Hyundai Tucson (+71%) at #8. The Toyota Fortuner, Prius and Hilux make it indeed 8 Toyotas in the 2017 Georgian Top 10. Best-selling non-Toyota last year, the Lada Niva dives 27% to disappear from the Top 10. Notice also the Mercedes GLE (+55%), Suzuki Vitara (+65%), Skoda Rapid (+189%), Ford Fiesta (+79%) and Hyundai Creta (+125%) all making waves in the Top 20. The Nissan Kicks (#50) is the best-selling launch for the year ahead of the Range Rover Velar (#59) and Fiat Fullback (#64). Full Year 2017 Top 47 All-brands and Top 275 All-models vs. Full Year 2016 figures below.